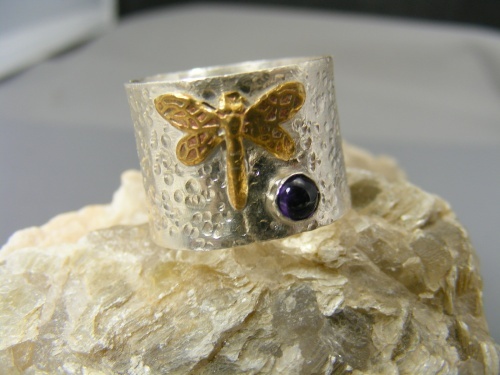 This pretty bronze dragonfly just seems to be playing on this wide sterling silver hammered ring. Has a pretty amethyst stone on it and can be ordered to your size. Please note to order one size larger than usual because of the width of the ring.